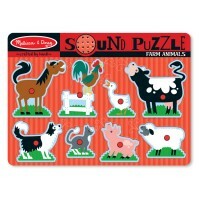 Lift the farmer and animal pieces of this new Melissa & Doug's sound puzzle to hear kids' favorite Old MacDonald song. 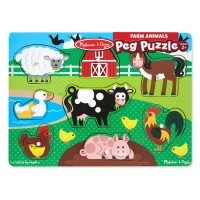 This new peg puzzle by Melissa & Doug will bring not only the popular barn animals to your child's imaginary farm, but their favorite nursery rhyme, too! 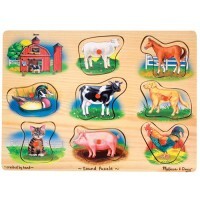 Old MacDonald's Farm Peg Sound Puzzle features seven kinds of farm animals: cow, horse, pig, hen, dog, duck, and sheep. 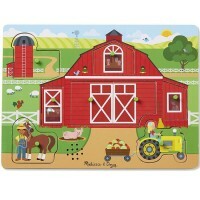 Plus a farmer, Old MacDonald. 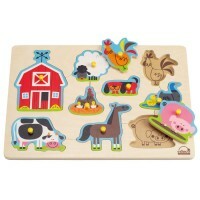 Each of the 8 puzzle pieces comes with a peg, that eases the assembly for the little ones. 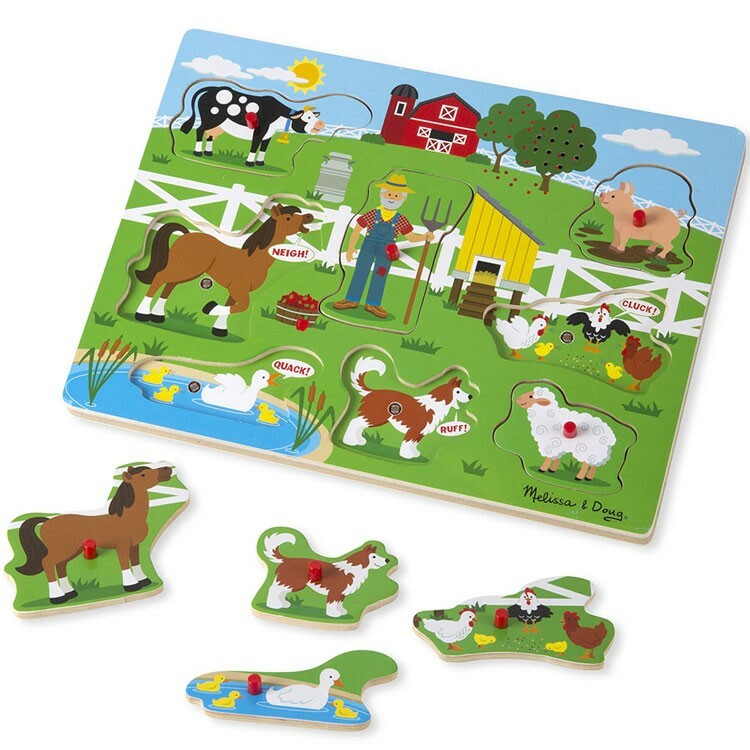 Lift the farmer and animal pieces to hear them sing the Old MacDonald song. 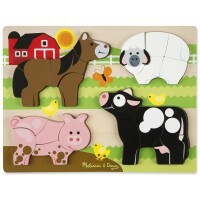 Sing along with the farm animals and find the right place for each of them on the wooden puzzle board. 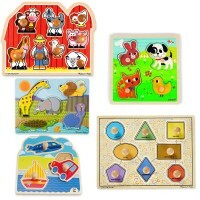 Your child will improve his/her small motor skills and have lots of fun with the 8 pieces wooden puzzle from Educational Toys Planet. 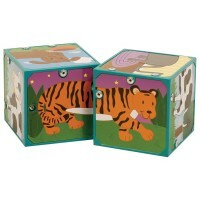 Well-made learning puzzle meets all U.S. toy safety standards. 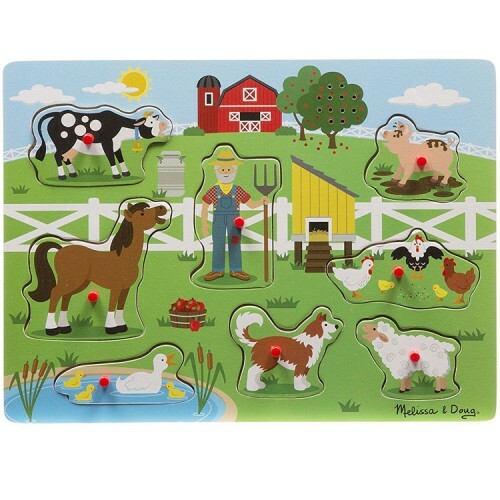 Write your own review of Old MacDonald's Farm Peg Sound Puzzle. 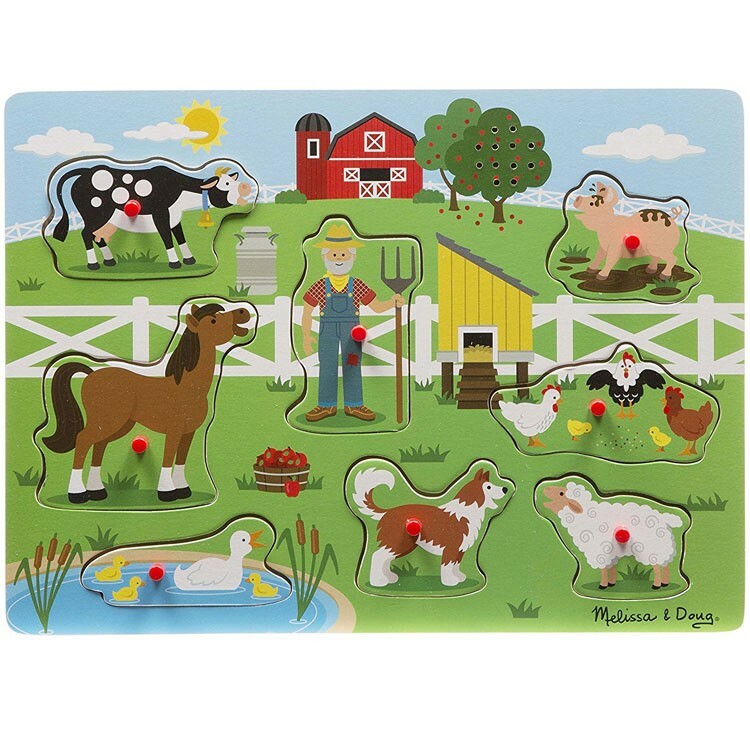 Rating: 5 Loved by my toddler by ROSSANA, FL It's such a simple and fun toy! 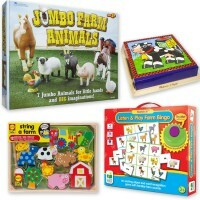 I'm really glad I bought it for my son. It's one of his favorite toy now. I'm also glad that the sound is Ok, not too loud.